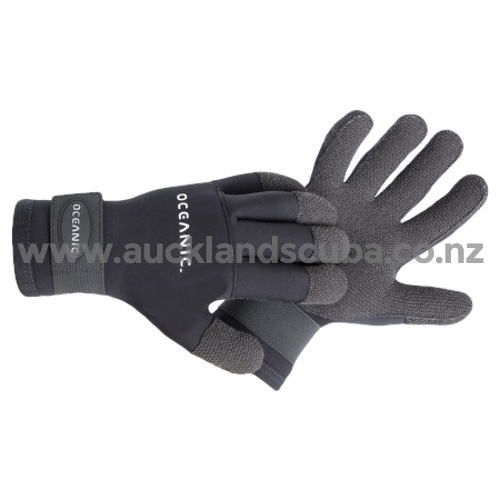 The Karbon-Flex 4 mm Glove is made for diving in Very Cold Waters, specifically in applications where there is Wear and Tear on the Palms, such as Wreck Diving, Salvage, Hunting, etc. The 4 mm Merino Titanium Lined Nylon Neoprene is Extremely-Warm, and is complemented with Wrist Strap to ensure Secure Fit along with Minimizing Water Transfer. Durability is guaranteed with the Kevlar Palm and Fingers which not only Protect-your-Hand, but they also Ensure Long-Glove Life.